A natural formulation for women’s reproductive and fertility health. Improves women’s wellbeing when preparing for a healthy pregnancy. Adults only: 1-2 tablets twice daily; in the morning and at night, or as directed by your healthcare professional. Vitamins can only be of assistance if the dietary vitamin intake is inadequate. People suffering from thyroid conditions such as Graves’ disease should consult their health professional before use. Avoid in patients at risk of bleeding or with clotting disorders. Discontinue use 2-3 weeks prior to surgery. For mild arthritis. Contains natural COX-2 inhibitor. Everyday management of mild osteoarthritis. Natural formulation for joint health. For the everyday management of mild osteoarthritis. Clinical benefits include temporary relief from pain, inflammation, reduced swelling and increased joint mobility. 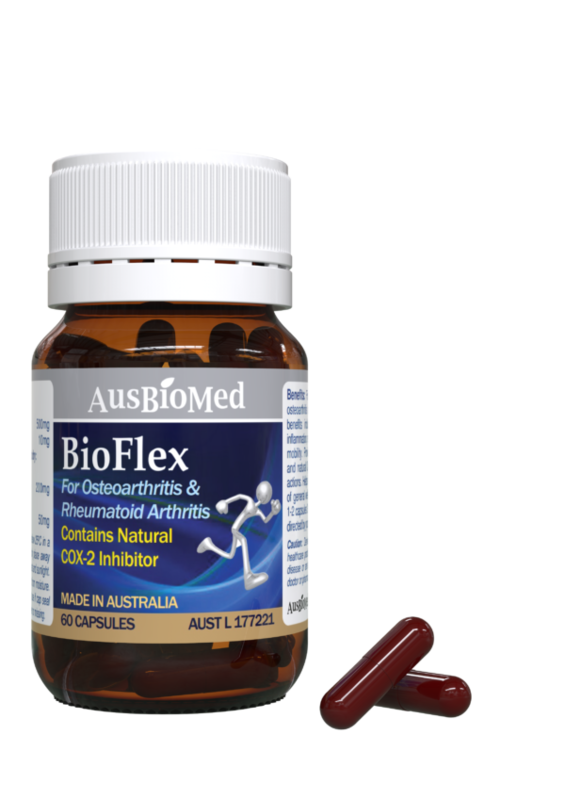 Provides anti-inflammatory, antioxidant, and natural Cyclooxygenase-2 (COX-2) inhibition actions. Adults only: Take 1-2 capsules 3 times daily with or after meals, or as directed by your Healthcare Professional. Derived from seafood. If symptoms persist consult your healthcare practitioner. Contains 64.6mg potassium. If you have kidney disease or are taking heart or blood pressure medicines, consult your doctor or pharmacist before use. Keep out of reach of children.